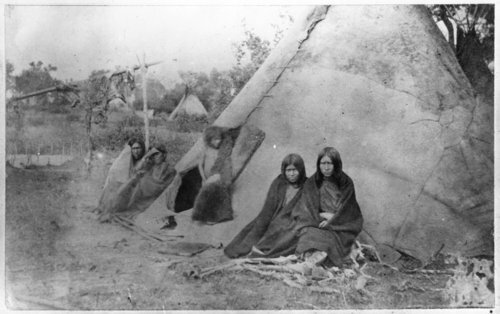 This is a photograph of four Cheyenne adults and one child sitting outside a tipi on the Washita River, Indian Territory. Other tipis are visible in the background as well as as a hide drying on a rack. Funds for digitization provided by Mr. Steve Peckel in memory of William Chalfant.